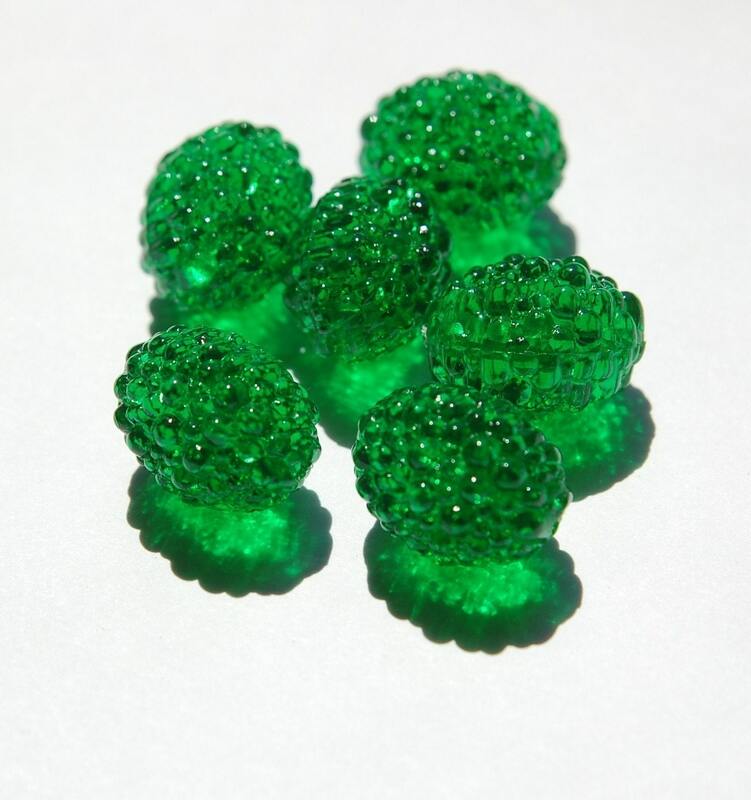 These vintage plastic beads have a neat bumpy textured surface. Just like a raspberry. 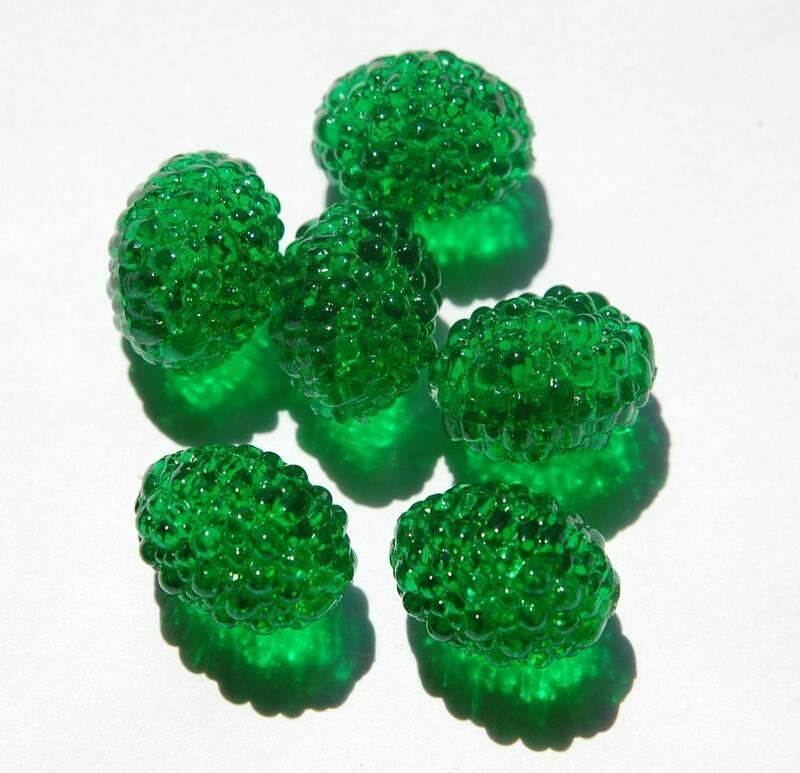 These are oval shaped and measure 18mm x 13mm. You will receive 6 of these. Very nice quality and quick shipment. Thanks! Very nice product. Quick shipping. I will return! Very, very awesome! The color is very vibrant.